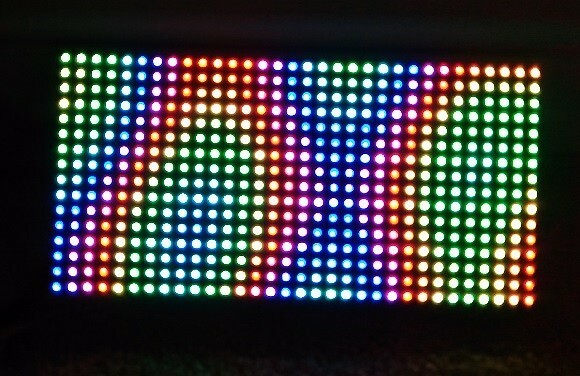 Today, we have added a new and colorful product to our Tindie store. 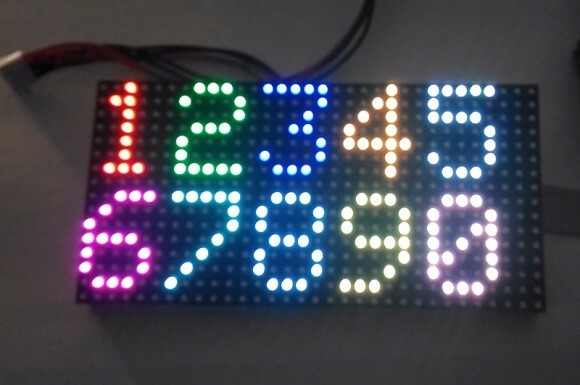 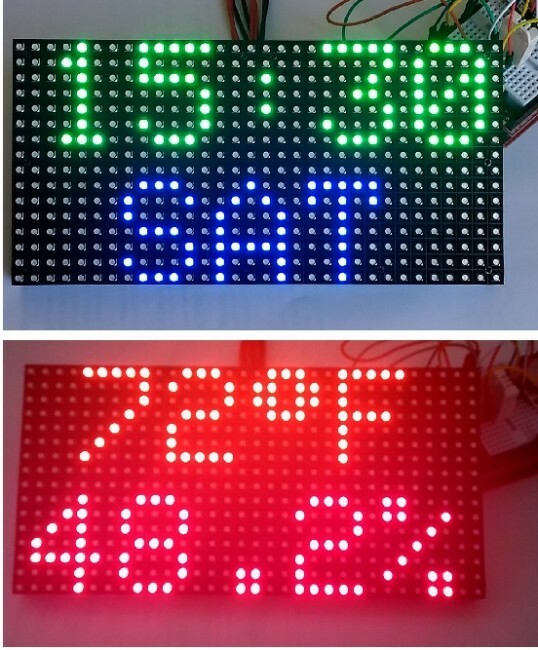 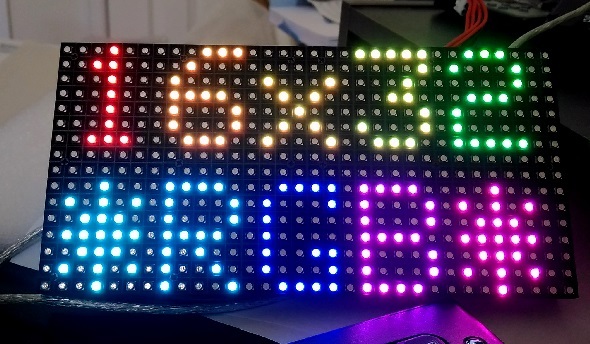 It is a colorful RGB LED matrix panel kit that includes a 16×32 RGB panel, a RGB connector shield for Arduino Uno, a 2×8 IDC cable, and a power supply connecting cable for the RGB panel. 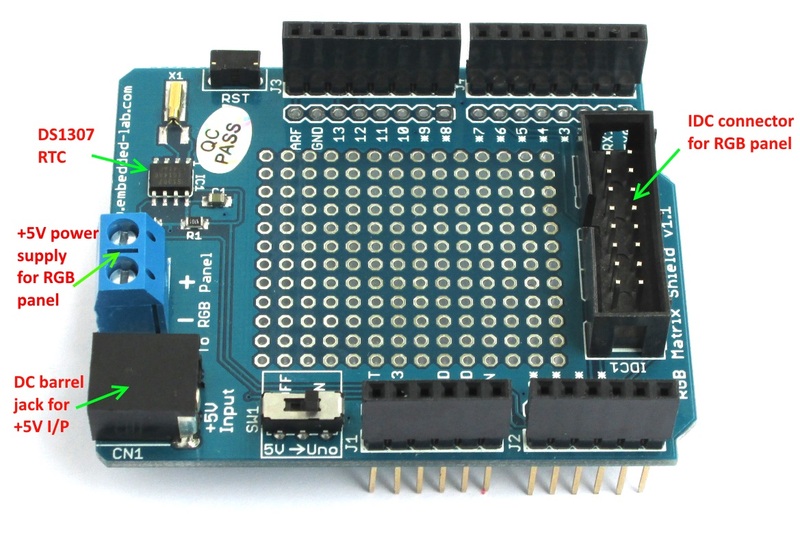 The RGB panel operates at 5V and requires 12 digital I/O pins of Arduino Uno for full control of the display. We designed the RGB matrix connector shield to allow super easy connection setup between the LED display panel and the Arduino Uno board. 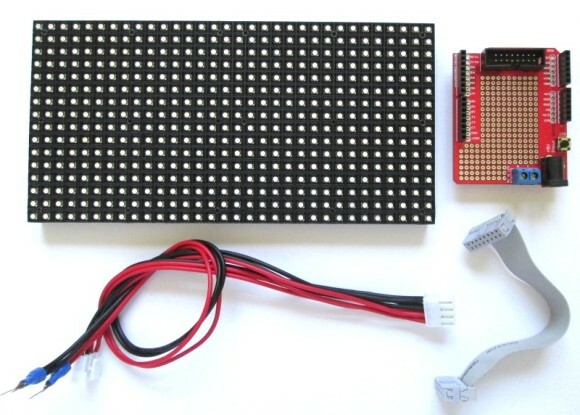 Note: The power supply is not included. 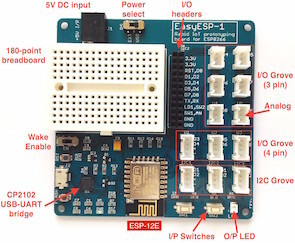 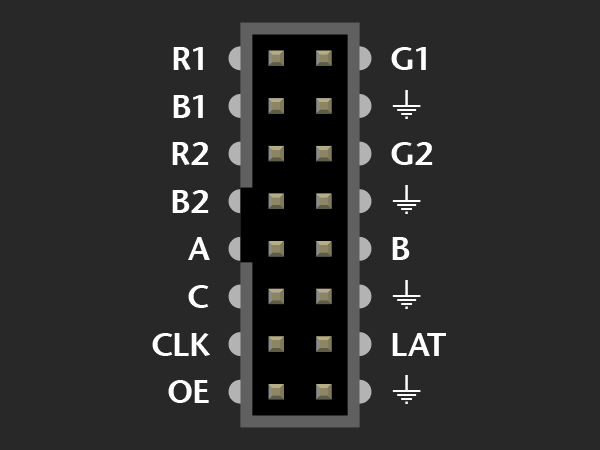 It requires a 5V, 2A power supply with a 2.1mm x 5.5mm DC connector. 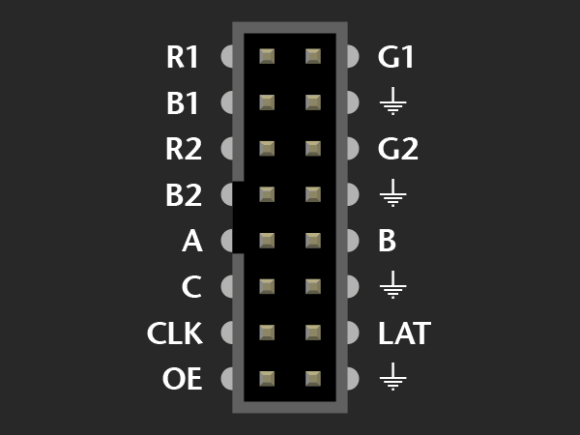 The LED matrix also works fine with a 1A power supply (like from a cell phone charger) applied through the USB connector of Arduino Uno. 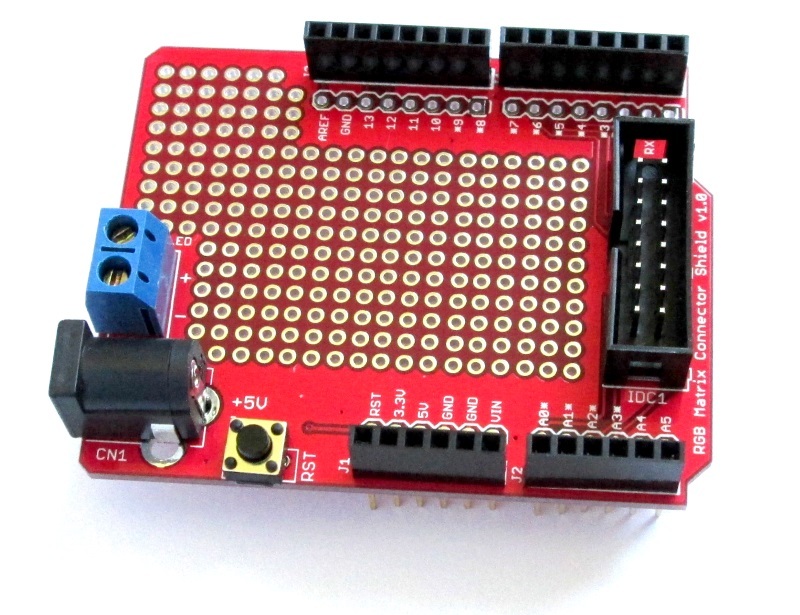 The RGB Matrix driver shield has been revised recently and the new version has the DS1307 RTC chip on board. 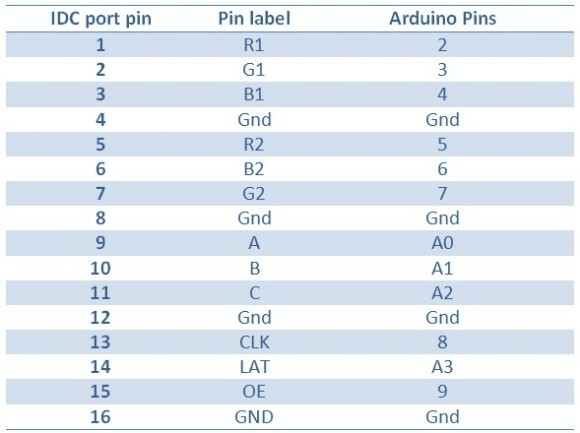 The I2C signal lines are also hard wired to Arduino A4 and A5 pins.